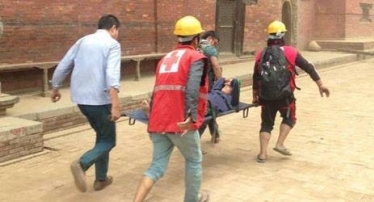 The shocking news of the devastation caused by the earthquake on 25th April 2015 in Nepal that has seen the lives of 2000 people lost is beyond my comprehension. Just reading the stories and seeing the images on line is shocking enough, and my heart goes out to those affected. If you are able to contribute any financial support, please donate to your local Red Cross society who have set up an emergency appeal to support survivors and their families. It is at times like these that I am reminded of my good fortune in life. To be able to live in a stable country better equiped to deal with devastating natural disasters. Although I am in Myanmar, far away from the country of Nepal, I have received numerous messages from my friends and family concerned of my welfare and worrying how I am getting on in this new country. This post should have been written a couple of months ago, but as life got busy it got pushed further down the list of priorities. However it seems like its the right time to share these recipes now. Even though Nepal is in the midst of mass devastation there will be people who will be trying to get some normality in their lives, preparing Dal Bhat as their staple meal twice a day. Dal is an aromatic lentil soup that adds flavour to plain rice (bhat) and provides a great base for your curries. The recipes are courtesy of Momo Cooking who run fun and friendly workshop style cooking classes teaching everything you need to know about home cooked Nepalese food. 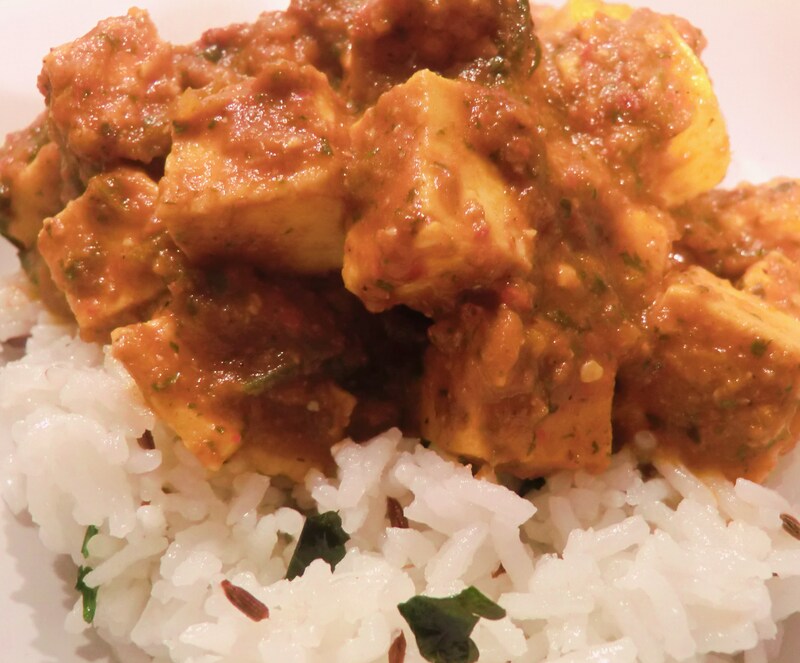 As well as running their own cooking classes and catering business, they also run classes for Cracking Good Food to spread the word of great Nepalese cuisine! Cover the pan and bring contents to boil. Once boiling, leave covered and simmer for around 90 minutes until the dal has reduced down and thickened into a creamy soup. * Tip: To save time when cooking dal, make up a large batch and then divide and freeze individual portions. Take out and re-heat until bubbling as and when you need it. Make sure to taste your reheated dal before serving as it may need reseasoning. Heat oil in a pan and fry garlic until just starting to brown. Add spinach, sprinkle with salt and stir fry until the spinach has wilted down. *Tip: Try replacing the spinach for seasonal greens such as kale or spring greens, and add a bit of heat by throwing in a bit of chopped fresh chilli. *Tip: If it’s hard for you to get hold of soya beans, you can replace them with fresh garden peas instead. Skip step 1 and 2 in the method, and add the peas in step 8, in place of the cooked soya beans. Remove from the heat once the peas are cooked. Heat the soya beans in a dry pan for about 5 minutes. Move the beans around the pan regularly to ensure that they cook evenly on every side. You will know the beans are cooked when you hear small popping sounds, see small brown dots appear on the beans and you get a nutty smell coming from the pan. Take beans off the heat and set aside until later. Heat 1 tbsp oil in a high sided pan, add the onions and fry until starting to brown. Add tomatoes, garlic and chilli and stir in until everything is coated with oil and turmeric. 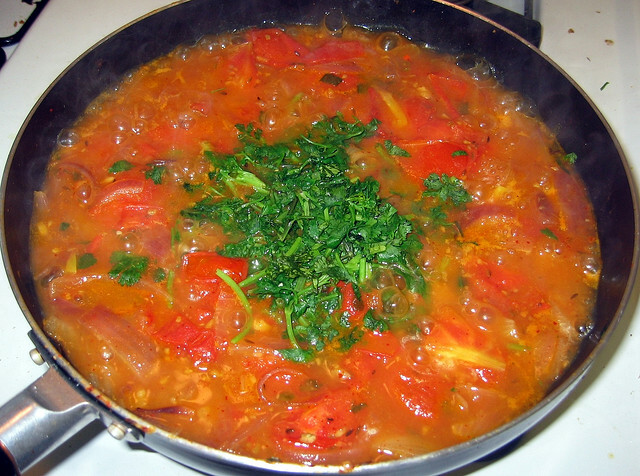 Sprinkle the salt and the rest of the spices evenly across the tomatoes, add the water and stir everything through so that the spices are mixed into the curry. Cover pan, bring up to a boil. 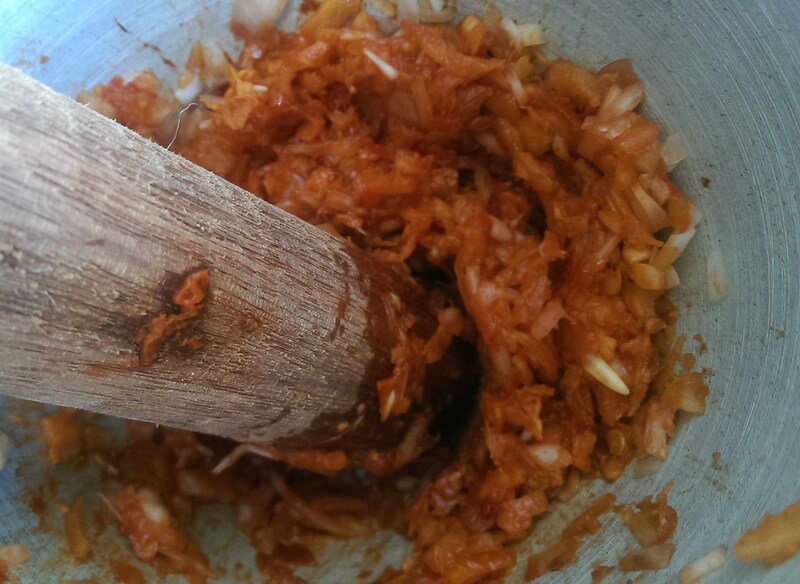 As tomatoes soften, use the back of a spoon to mash them together. Slowly add more water if the tomatoes seem to be drying out and catching on the pan. Once all of the tomatoes have softened, add the cooked soya beans and stir through. Leave on the heat for about another minute, stirring and adding splashes of water if needed. Remove from the heat, garnish with fresh coriander and serve. 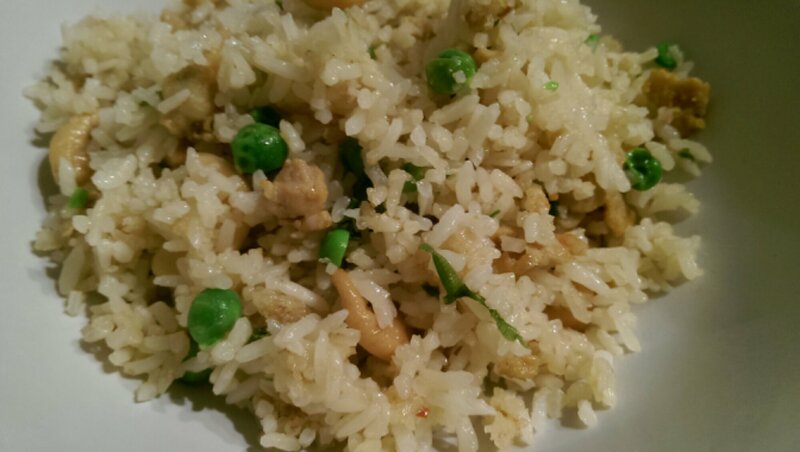 I made this rice using the ‘absorption method’ as this is the way I learnt to cook rice. It results in the rice being a little more sticky but that’s the way I like it. 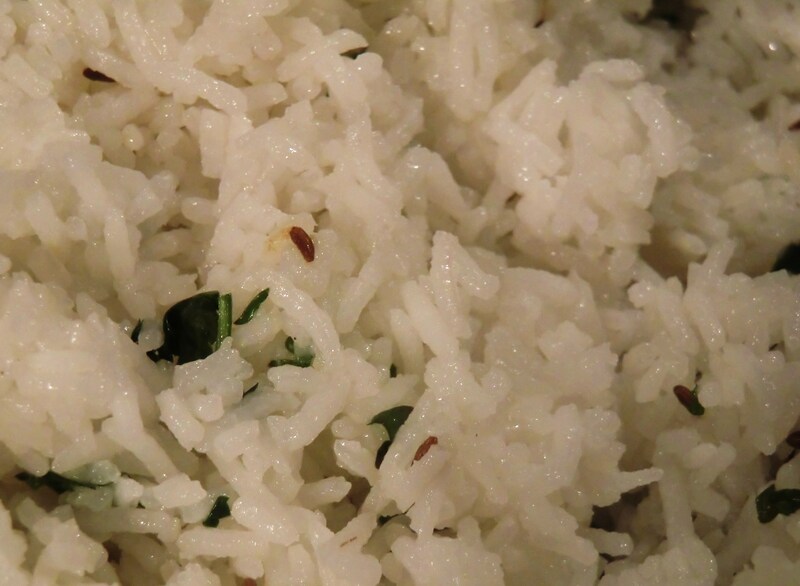 The mild fragrance from the spices gives the rice a gorgeous flavour, enough to make you want to eat the rice just on it’s own! It’s my first time cooking rice in this way but I’ll definitely be doing it again! I love learning how to cook from people who cook for their families. Home cooking tastes amazing, I think its the love that goes into it. The best thing about the world of blogging is learning how people cook traditional home made dishes so I know how to recreate them too! None of the ‘westernised’ and mass produced curries found in high street restaurants for me! 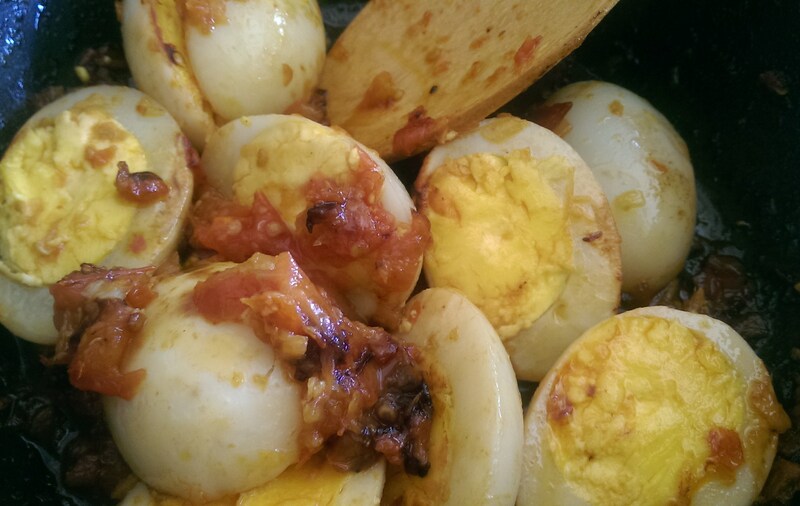 This is a quick post as it’s not my recipe! 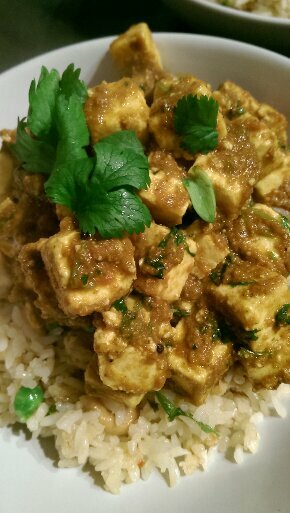 Tonight I made a Paneer curry for the first time using a recipe from Dimple’s blog ‘shivaaydelights’. 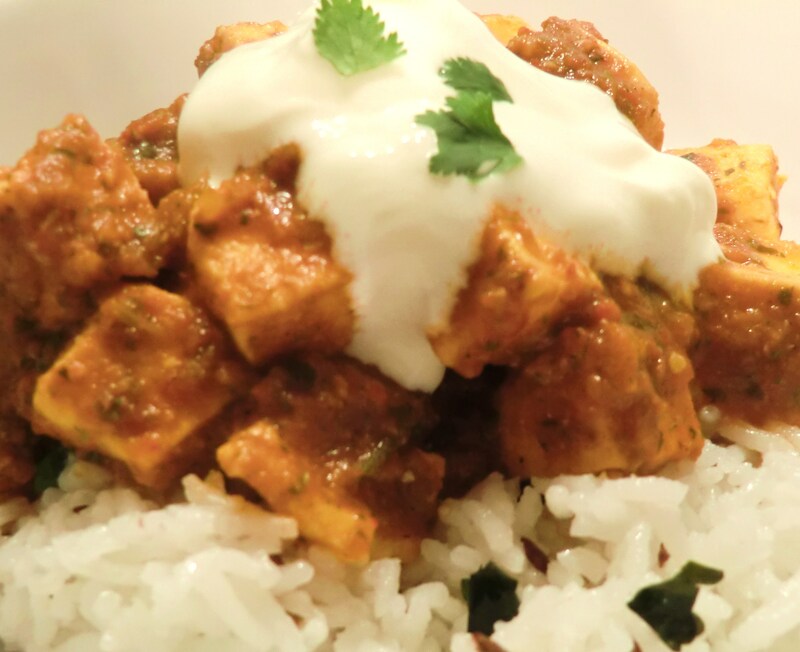 She posted it at just the right time as I had bought some Paneer at the supermarket when thinking of something different I could cook but I didn’t have a tried and tested recipe yet. So tonight I made it and served it with some chicken and cashew nut fried rice. 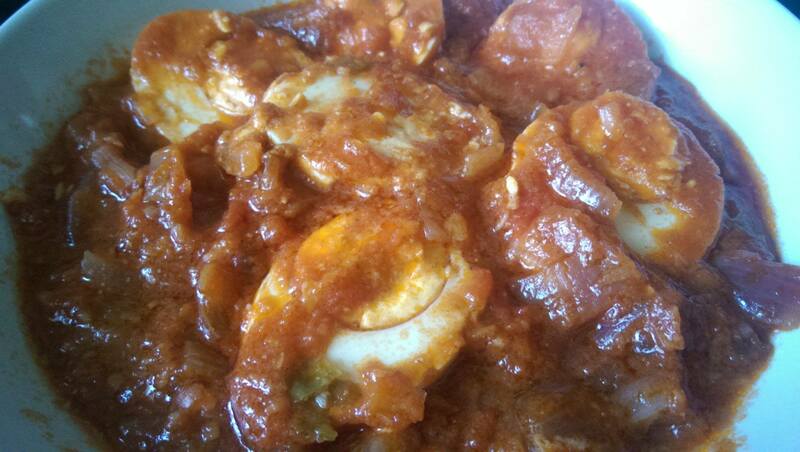 Dimple recommends to serve the dish with Naan bread but I had some left over rice to up. 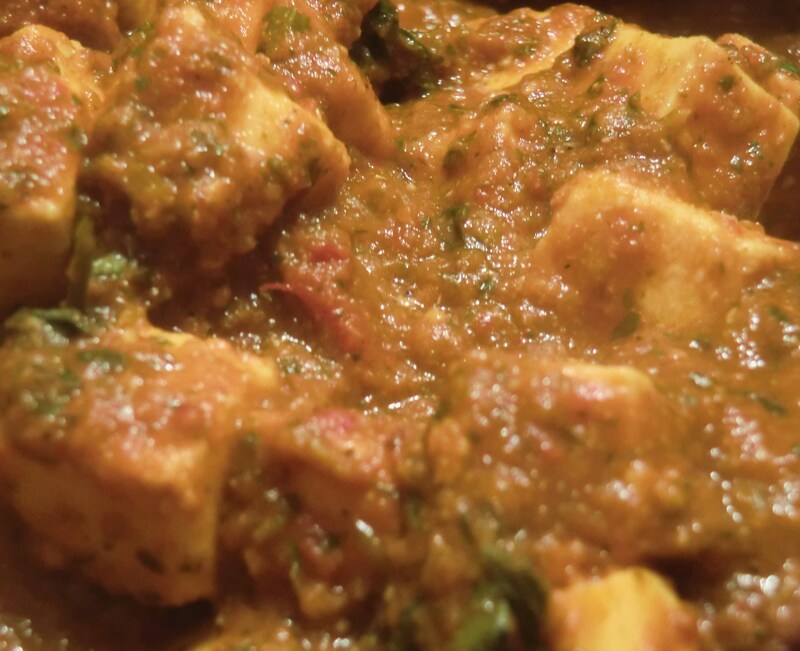 The crunch of the cashew nuts went well with the softness of the paneer. I will definately make this recipe again, the sauce was delicious and would go great with lots of other ingredients too!